The supreme usefulness of Excel and the Office suite in general often drew people away from MacBooks and towards PCs in the past. Fortunately, this is no longer a problem as Excel and other Microsoft programs have all become available for Mac. To learn about purchasing Excel for your Mac, read more below. The most recent version of Excel was released in 2016. This edition made significant improvements on its previous versions. It made searching for tasks much simpler with a Tell Me feature where you can easily type any function you need. Also, a smart search option called Insights searches your documents and the web for information just by right-clicking a word. 2016 also adds collaborative capabilities which allow you to edit a document with partners while messaging within the program in real time. It even includes a slew of new features, such as new chart options, the ability to pull data from other files, and the ability to analyze it. 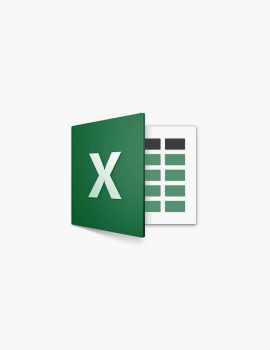 If you want to buy Excel 2016 for Mac, you have several options. You can buy the program individually, although this isn’t cost-effective and is not recommended. 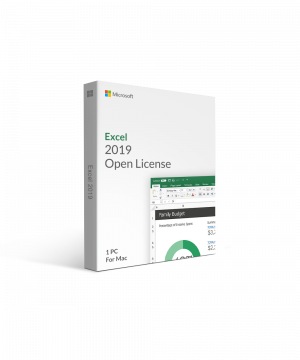 Microsoft’s Office packages that include Excel are a much better deal as they include multiple useful programs for an affordable price. There are two types of these suites: the traditional Office 2016 packages that are a single download for one payment, and Office 365, a newer Microsoft offering that requires a monthly or yearly subscription for the latest versions of the programs. Home & Student: This includes the traditional Office programs such as Word, Excel, PowerPoint, and OneNote, and is available for one computer. Home & Business: This single-computer suite has the programs listed above but also adds Outlook. Personal: This single-computer package has all the Microsoft programs listed above in addition to one TB cloud space on OneDrive. Home: This suite includes the same programs as the Personal package and also includes multi-computer download capabilities. Business: This suite has all the same offerings as Home, but is focused toward business. Business Premium: This suite gives you all the Microsoft productivity programs plus a number of advanced online communication and collaboration programs to maximize productivity. You can find the best deal on Microsoft Excel and more at SoftwareKeep Canada. At SoftwareKeep, you can find the best prices on all programs. Our experts are always available to help you select and install the right software. Visit us at www.softwarekeep.ca, or call us at +1 877-285-1036.